Is A Cracked Windshield Dangerous to the Driver and Passengers? If your windshield has cracked, you might think you can continue driving without putting yourself or your passengers in harm's way. However, a cracked windshield poses more of a threat to you and your passengers than a possible spider web-like spreading in the coming days and weeks. Driving with a cracked windshield dramatically heightens the odds of a deadly accident. Even those small cracks in your windshield should be remedied right away to ensure passenger safety. Here is a closer look at the dangers cracked windshields pose to drivers and passengers. If there is a front-end collision, your cracked windshield will lack the structural integrity necessary to remain intact. You need your windshield to remain intact to transfer the force of the collision to the chassis. This transfer lessens the impact felt in the vehicle, safeguarding passengers and the driver. 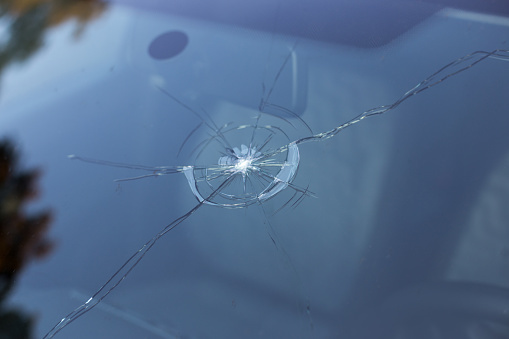 The bottom line is if you have a cracked windshield, it is that much more likely to shatter during an accident and harm you as well as other vehicle occupants. Imagine an instance in which you are distracted and rear-end a vehicle stopped at a crosswalk or red light. If your windshield is cracked, there is a higher chance you or your passengers will eject through it upon the impact of the accident. The windshield is especially important to keep occupants within the vehicle if they are not wearing their seat belt at the time of such an accident. Consider a situation in which you are traveling at a high rate of speed on the highway. Another sport utility vehicle nudges your car, causing you to wobble and eventually endure a roll-over accident. If the windshield is cracked, the chances of an injury will be much higher. You need an undamaged windshield for the important structural support that stops the roof from caving in during a flip-over. Even a minor crack in your windshield's glass can weaken this protective layer to the point that it can break surprisingly easily and allow the roof to collapse. The windshield is essential for the proper deployment of airbags. In particular, plenty of vehicles require a reliable windshield in order for the passenger’s side airbag to deploy in the proper manner. Once the point of contact triggers the airbag's deployment, the windshield serves as a backstop that forces the airbag to inflate in the direction of the passenger. Unfortunately, the powerful force of an airbag being deployed can shatter an already chipped or cracked windshield. If such an event occurs, the airbag might actually inflate outward through the opening in the windshield, leaving the passenger vulnerable. The moral of this story is you never know how a compromised windshield will respond to pressure during an accident. If your windshield is flawed in any way, it is imperative you have it fixed as soon as possible. 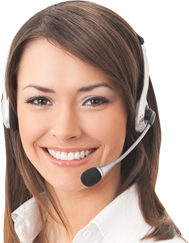 Give us a call to schedule an analysis and setup your windshield repair or auto glass repair services.